“Now the question is: Are we really going to get it done?” said Matt Schlapp, who leads the ACU, one of the leading conservative group’s in the country and the keeper of the ACU Ratings scorecard. 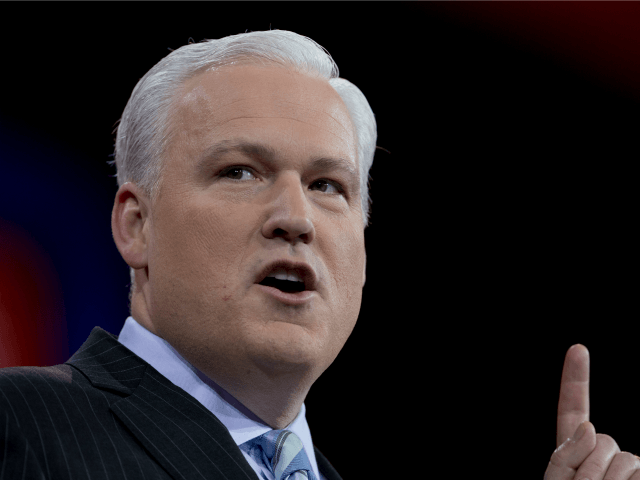 Schlapp told Boyle that after the political victories of 2016, conservatives gather at CPAC, which opens Wednesday and runs through Saturday morning, to make sure the politicians fulfill the promises made to conservative activists. This is not the time for theories, he said. The Conservative Political Action Conference began in 1973 as a partnership between the ACU and Young Americans for Freedom. It was part of the same movement by conservatives that supported Rep. John Ashbrook to oppose President Richard Nixon in the 1972 Republican primaries and led to the founding of the Heritage Foundation and the Republican Study Committee. Unlike any other annual political gathering, CPAC has always been full of college and high school students mixing with the activists and the dynamic is about the politicians coming to see the conservatives and make their case–not the other way around. In addition to Republican office holders, administration officials and conservative thought leaders, Breitbart Technology Editor Milo Yiannopoulos is scheduled to deliver CPAC’s keynote address. Schlapp said with Republicans in control of Congress and the White House, the expectations are very high. Is Trump coming to CPAC this year? he asked Schlapp. “Well, I’m hopeful he’ll be there,” Schlapp said. Trump’s 2016 appearance was canceled at the last minute in favor of a campaign stop. “He has been to CPAC, I think, for five years or so,” he said. “You never know what he is going to do, which is why he is a political genius in a lot of ways. I’m hoping he doesn’t just read a script. I hope, if he comes, he speaks from the heart and thanks these activists. In the run-up to Wednesday’s CPAC opening Schlapp and his wife Mercedes have their show on SiriusXM’s Patriot Channel 125 “The Road to CPAC 2017,” where they talk about the conference and what people can expect.